Successful and driven single mom Jenna Thompson writes teen novels, and she has only five weeks to deliver the next one to her publisher. So, this year’s annual beach vacation with her kids Nick (Luke Loveless) and Ally (Reagan Shumate), will be a working vacation for Jenna. Upon arrival, the family soon meets their new next-door neighbor, confident, devil-may-care surfer Lucas McKinnon, with whom they will be sharing walls and a patio for the next month. Lucas cranks up his music at night, sleeps late, and allows Tank to run around at will. Jenna bangs away at her novel with little success, often blaming Lucas’ loud volleyball matches and irregular hours for her inability to progress. However, after Lucas finds himself bonding with Nick and Ally, Jenna begins to see a different side of Lucas, and when the two find themselves alone together one evening for dinner, each begins to see the other in a whole new – and attractive – light. 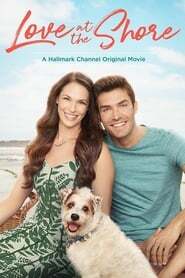 Starring Amanda Righetti and Peter Porte. In this hilarious new comedy special, stand-up Brad Williams tackles race and political correctness, as well as how his father raised him to deal with adversity. One Piece: Defeat the Pirate Ganzak! Two oafs must rescue their stranded pal in Mexico. Luokkakokous is a story about three men that travel back to their hometown to attend their high school class reunion.